Bush walks in Kruger Park are the best way to get close to birds. All the camps offer guided, early morning and sometimes late afternoon walks with great birding opportunities. 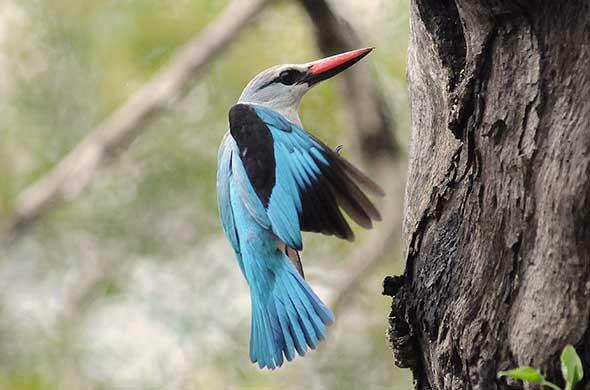 One of the most fulfilling birding experiences in Kruger is to do one of the seven three-day bush trails. These are guided walks with knowledgeable rangers in isolated areas. The walks are flexible according to the needs of the booking party and special birding walks can be customised for each of the trails. Each walk has a trail camp that has been carefully sited in scenic surroundings. The trails take a maximum of eight people - no children under 16 or people over 65 are permitted, although exceptions can be made on presentation of a doctor's certificate. Groups spend three nights in four, rustic, two-bed huts. Ablution facilities comprise reed-walled showers and flush toilets and there is a covered lapa, which serves as a dining and socialising area. Simple meals are provided. Each day, the party sets off on a different walk, returning to the Trail Camp at noon. The Wilderness Trails run from mid-January to mid-December. Hikers are transported from the nearest camp the day before the trail starts - they must check in by 15h30. The Wolhuter Trail is named after the legendary father-and-son rangers Harry and Henry Wolhuter who spent several years managing southern Kruger. The trail camp is in rhino territory in the mixed woodlands north-west of Berg-en-Dal. The Red-billed Oxpecker is probably the most important bird to look out for because it often means that rhino are close by. The trail camp has a large dam nearby where there are good waterbird sightings as well as the occasional Osprey. The walks traverse the Malelane mountain bushveld with large koppies and a rich diversity of trees and birds. 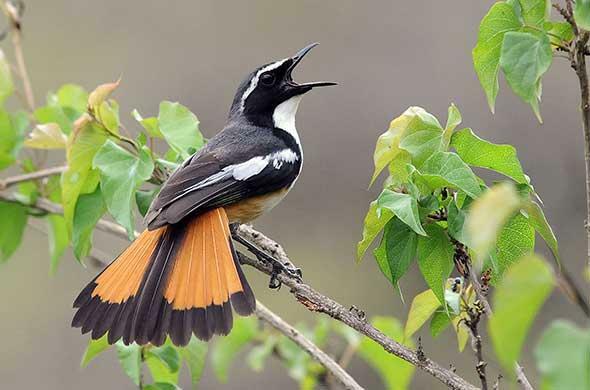 Special birds to look out for on the Wolhuter Trail include the Red-throated Wryneck, Black-crowned and White-backed Night-Herons, Lizard Buzzard, African Hawk-Eagle and Green Twinspot. Hikers check in at Berg-en-Dal. The Bushman Trail Camp is north-west of Berg-en-Dal in a secluded valley close to the south-western boundary of the Park. The landscape consists of dramatic, granite hills, which provide good views over the bush. 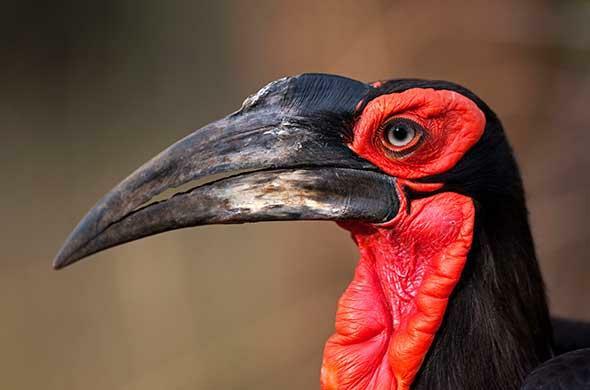 Because the walks are at a higher altitude than the rest of Kruger there are many escarpment birds to be seen, as well as lowveld species. One of the special features of this trail is that it includes several rock-art sites - south-western Kruger has a rock-art tradition that goes back several centuries. 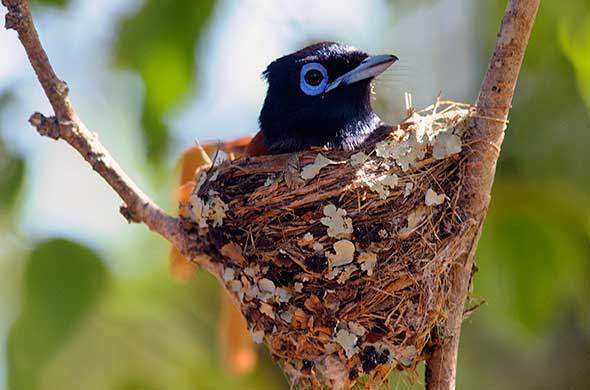 Bushman trail specialities include the Jackal Buzzard (which some birders maintain should not be included as a Kruger bird because it is so rarely seen in the Park) Fan-tailed Widowbird*, African Harrier-Hawk*, Cuckoo Finch, Familiar Chat and Scaly-throated Honeyguide. 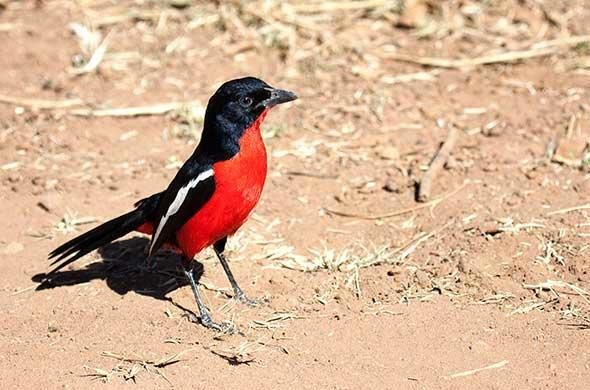 Napi Trail Camp is in the mixed bushwillow and Knob-thorn woodlands between Ship Mountain and Skukuza and is renowned as a bushveld birding spot. It is well-positioned in lush riverine bush at the confluence of the Napi and Biyamiti Streams, which form a watercourse through to the Crocodile River. The original camp was destroyed by fire and the new Napi tents have en-suite ablution facilities. There is a choice of walks that wind through undulating, picturesque woodlands with attractive granite koppies. 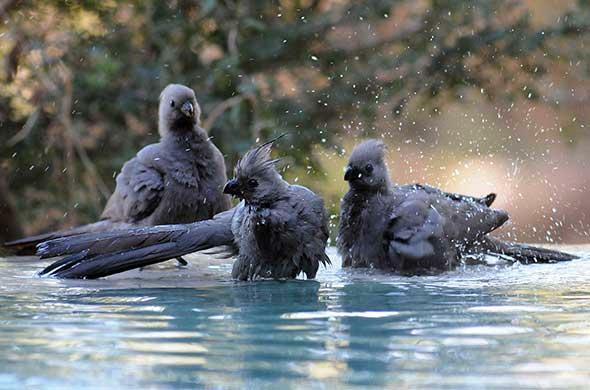 The Biyamiti and Napi Streams ensure prolific birdlife, while lion, rhino and elephant have been recorded on the walks. 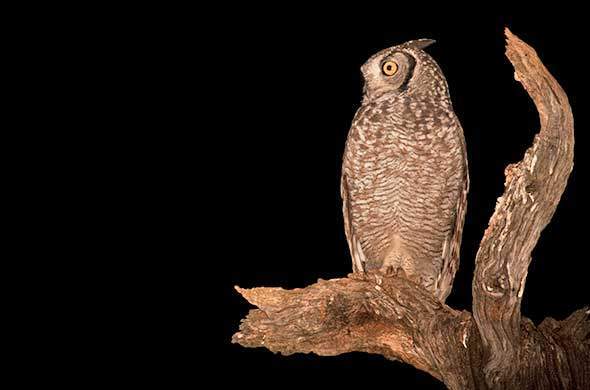 Among the less common birds seen during the Napi walks are the African Barred-Owlet, Verreaux's Eagle-Owl*, Amethyst Sunbird*, Yellow-fronted Tinkerbird* and Bushveld Pipit*. The Metsi-Metsi Trail is in the Lebombo area east of the N'wamuriwa Mountain (366m) near Tshokwane. The trail camp nestles at the foot of the mountain and overlooks a small water hole with a hide.Look out here for the Yellow-bellied Greenbul. The landscape varies from undulating savanna to rocky gorges and ravines. The N'waswitsontso River, being one of the few permanent sources of water during the dry winter months, attracts an abundance of game, especially elephant. A great variety of wildlife, including black rhino and large predators can be found here. 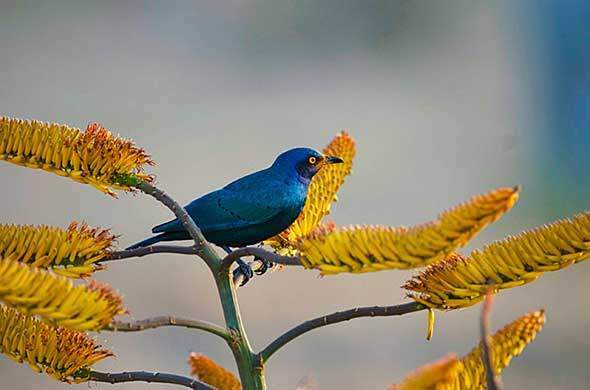 Metsimetsi birding specials include the Kori Bustard, Montagu's Harrier, Orange-breasted Waxbill, and in wet summers, the Black Coucal. Hikers meet at Skukuza. The drive to the trail camp includes a late afternoon stop at Leeupan, a good wet season-water hole. Sweni Trail Camp is on the Sweni Stream in the lightly wooded grasslands east of Satara close to the Lebombo. 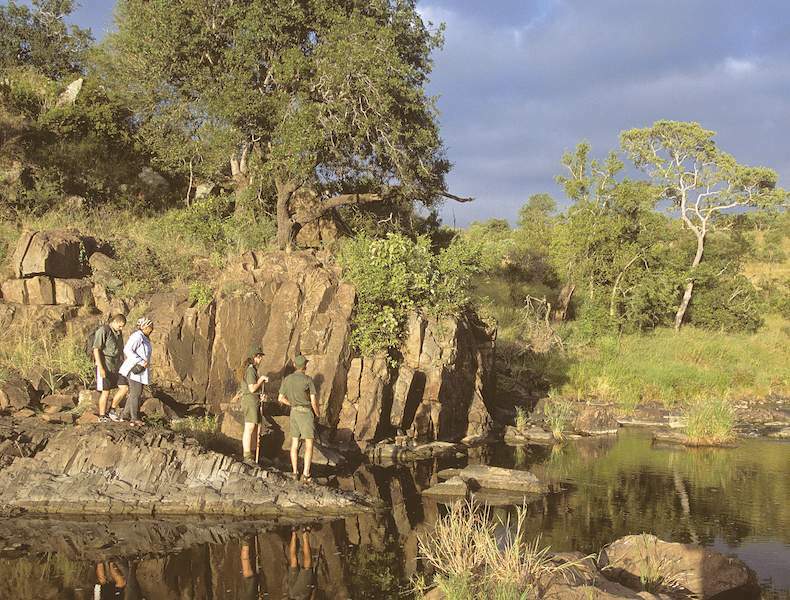 The trail camp overlooks the Sweni Stream and provides inspiring views over the surrounding Marula and Knob-thorn savanna. The stretches of river on this walk are likely to reveal the White-backed Night-Heron. This area is known for its high densities of predators and their prey. The Sweni Trail has a good reputation for extensive raptor sightings. Regular raptors on the trail include the Martial Eagle and the Brown Snake-Eagle. Other specialities include the Black-crowned Night-Heron, Blue-cheeked Bee-eater, African Quailfinch*, Olive-tree Warbler and the Common Ostrich*. Sweni hikers are fetched from Satara. The Olifants Trail Camp has a magnificent view from the southern bank of the Olifants River, west of the Olifants/Letaba confluence. The walks through the surrounding landscape include riverine bush, open grassland and some exploration of the Lebombo hills where the Olifants River cuts through the range. 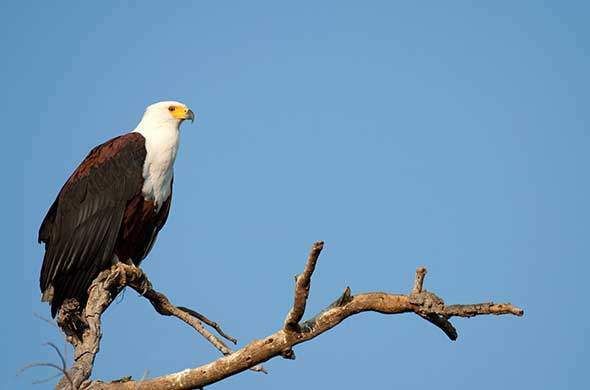 The African Fish-Eagle is a trail speciality and the riverside walks are the ideal habitat of the rare Pel's Fishing-Owl. Among the more certain sightings are likely to be the Horus Swift, and Grey-rumped Swallow. Other birds to look out for are the Peregrine Falcon, Crowned Hornbill, Eastern Nicator*, Yellow-bellied Greenbul, Bearded Scrub-Robin* and Greater Painted-snipe. The Nyalaland Trail Camp is on the banks of the Madzaringwe Stream near the Luvuvhu River north of Punda Maria. 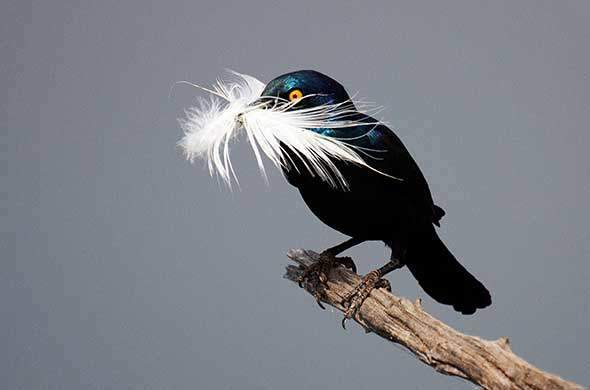 This is probably the best birding trail to see the most species, including South African rarities. The African Crowned Eagle and Verreauxs' Eagle nest in the vicinity of the base camp, while Mottled Spinetails breed and roost in a large Baobab at the camp itself. The walks wind through the sandveld north of Punda, which is one of southern Africa's prime wilderness areas. Hikers can marvel at forests of Baobabs and Fever-tree Acacias with some spectacular views from the sandstone koppies, the most dramatic being the magnificent Lanner Gorge. There are some fossil sites on the trail. This trail probably offers the most diverse species, including the Great White Pelican, Black Stork, African Cuckoo Hawk, African Golden Oriole, Yellow-billed Oxpecker, Grey-headed Parrot, Crested Guineafowl, Arnot's Chat, African Goshawk, Dickinson's Kestrel, Three-banded Courser, White-crowned Lapwing, Horus Swift, Tropical Boubou, Meves's Starling* and the Black-throated Wattle-eye*. Hikers are fetched from Punda Maria at 15h30 on the day of their booking. The Olifants River Backpackers Trail is a special, three-day hike designed for the fitter outdoor enthusiast. In fact, a prerequisite of the trail is a medical certificate showing the participant is in good health. As with the Wilderness Trails, hikers have to be between the ages of 16 and 65. A maximum of eight participants per trail is allowed and the party is accompanied by two armed guides. The trail is an intense 42-kilometre walk along the broken hills and thorn thickets of the upper section of the Olifants River, upstream of the high-water bridge. It includes some of the finest riverine forest in Kruger with very old specimens of Matumi, Tree-fuschia, Sycamore Fig, Natal-mahogany, Mopane, Leadwood and Tamboti trees. Hikers have to carry all their own gear including food, tent, sleeping bag and any other equipment needed during the four-day, three-night experience. 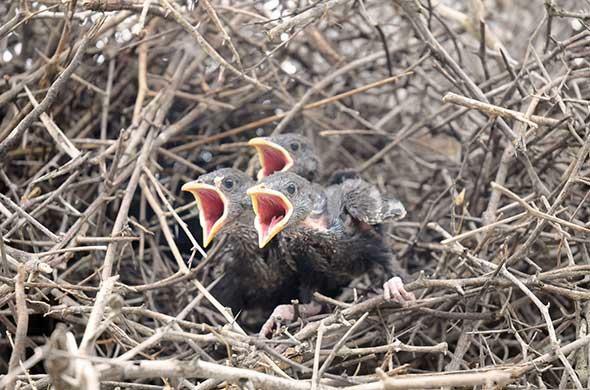 Birds likely to be seen are those detailed in the Olifants Trail. More detailed information is provided when booking.